Why would I need self storage in Schiller Park, IL? There are a variety of reasons why you might need self-storage in Schiller Park, IL. How much is a storage unit in Schiller Park, IL? The cheapest storage unit in Schiller Park, IL is $27.00 per month. What size storage units do you have available in Schiller Park, IL? In Schiller Park, IL we have sizes that range from 5'x5' to 24'x27' to suit your storage needs. How much is it for a 5'x5' storage unit in Schiller Park, IL? The cheapest 5'x5' storage unit in Schiller Park, IL is $27.00 per month. Schiller Park is a small village about 30 minutes northwest of Chicago, home to a mix of young families and singles. It offers a quiet way of life, with numerous local amenities and a small-town feel that make it a desirable place to call home. The area that currently makes up Schiller Park was originally home to a number of Native American tribes until the arrival of European settlers. Approximately 1,280 acres of the land became the property of Alexander Robinson as part of the Prairie du Chen Treaty, which opened the area to additional Europeans who rapidly settled the area over the next century. Thanks to the Des Plaines River basin, the soil in the area was rich and fertile, which attracted many farmers, trappers and hunters to the area. The river was bordered by groves that became a popular attraction for weekend visitors and a destination for excursions advertised by the local railroads. Along the riverside, saloons, picnic grounds and dance pavilions were established, and the community continued to grow. 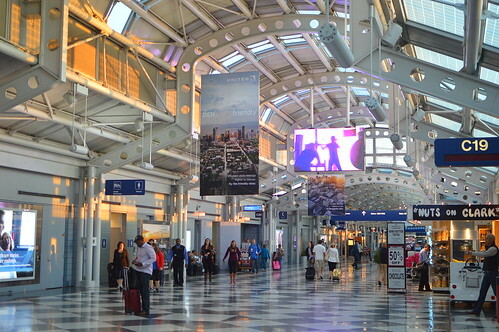 Today, Schiller Park is a fully developed residential area that benefits from close proximity to the O'Hare International Airport. Within just a couple hundred years, the land has been transformed from an open prairie to a sprawling suburb of Chicago. Since Schiller Park offers residential space near Chicago, many people who live there commute to the city for work. Depending on traffic, you can expect the drive to take anywhere from half an hour to an hour. If you prefer using mass transit, the North Central Service train usually takes about half an hour to make its way from Schiller Park to downtown Chicago. The area enjoys a low crime rate, a good school system and a fairly affordable cost of living. Despite these appealing features, other parts of the metropolitan area have grown more quickly than Schiller Park. This relatively low demand can make it easy to find affordable housing without having to stray too far from Chicago. Several parks in the area offer recreational amenities such as playgrounds, sports fields, dog play areas and picnic ramadas. The local Activity Center manages a preschool program, while the Anna Montana Water Park and Memorial Pool features an indoor pool, diving boards and water slides. Schiller Park schools fall under the management of the Schiller Park School District 81, a small school district that consists of three facilities. It's part of the Cook County Independent School District, which serves most students in the Chicago metro Area. Utilities: The city's primary energy provider is Dynegy Inc., while the village manages water and sewer services and billing. Garbage and Recycling: The village provides trash and recyclables collection, as well as options for disposal of yard waste, bulky items and electronics. Transportation: The Chicago Transit Authority, the Pace Bus and the Metra rail system all serve Schiller Park and the surrounding area. Schiller Park remains a very affordable suburb of Chicago, with a median home price that hovers near the national average. Housing options vary in size, ranging from compact apartments and townhomes to spacious single-family homes. Our lowest priced units in Schiller Park, IL average $33.00 per month. 90 people have reserved units in Schiller Park, IL in the past 30 days. There are 2 locations within Schiller Park, IL's city limits. There is 1 location in Schiller Park, IL that offers AC and Heating features.